7,500 people from 27 countries have formed an 8-kilometer human chain across the German-Polish border to protest opencast brown coal mining, which could entail the destruction of villages in both countries. The line was formed between the villages of Kerkwitz in Germany, and Grabice in Poland on Saturday. Residents of the two communities, home to some 3,000 people, fear they could be resettled to make way for more brown coal mines as a result of investments by a group of energy companies, including Polish giant PGE. 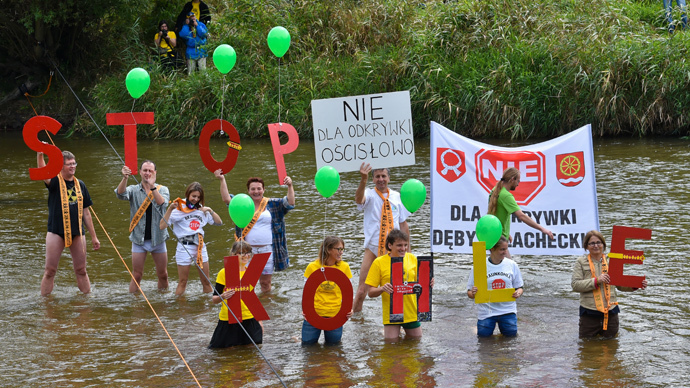 “Future instead of brown coal,” some banners read while several protesters even entered the Neisse river, which divides the two countries, as part of the chain. Joerg Haas, one of the organizers of the protest, told RT that he sees the alternative in renewable energies, which constitutes over 23 percent of Germany’s energy mix. 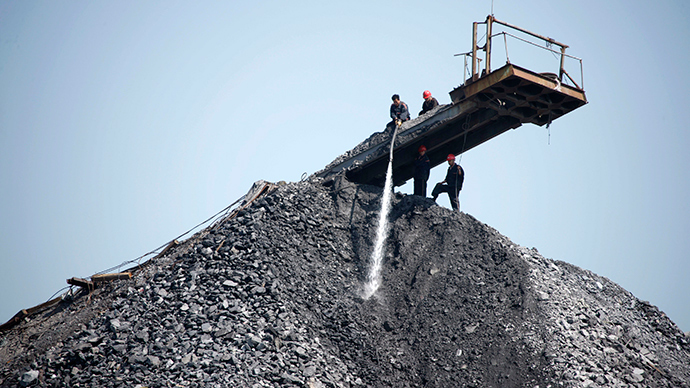 “[Coal] is the form of energy generation which is very environmentally damaging. 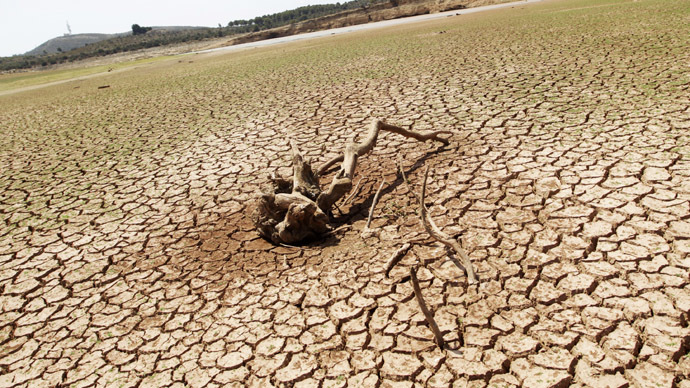 The burning of coal is destabilizing the climate, which causes a lot of human suffering. 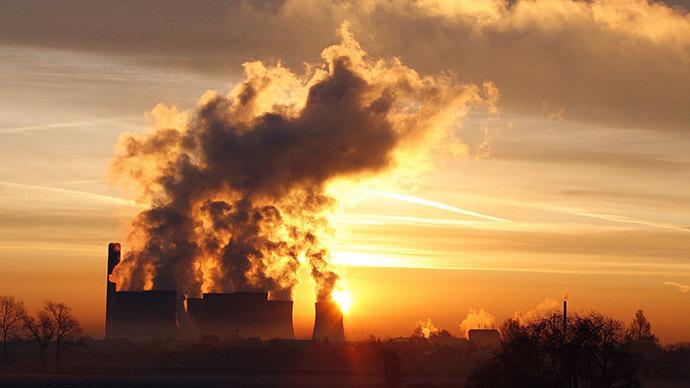 The burning of coal also poisons the air with mercury and particles. Most importantly, lignite mining is destroying entire villages, forests and a lot of land. 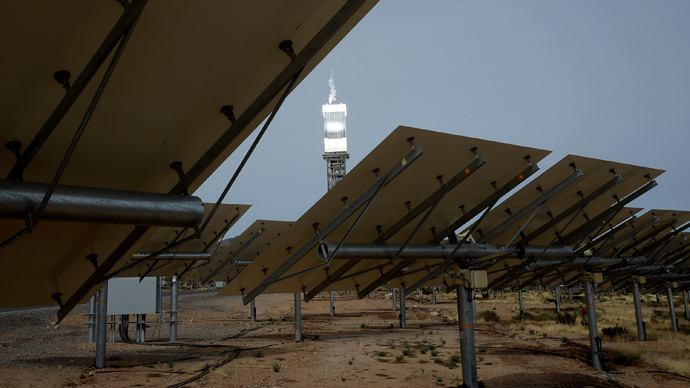 In Germany, we’re moving towards a system based on clean renewable energies, and this is entirely possible,” he said. 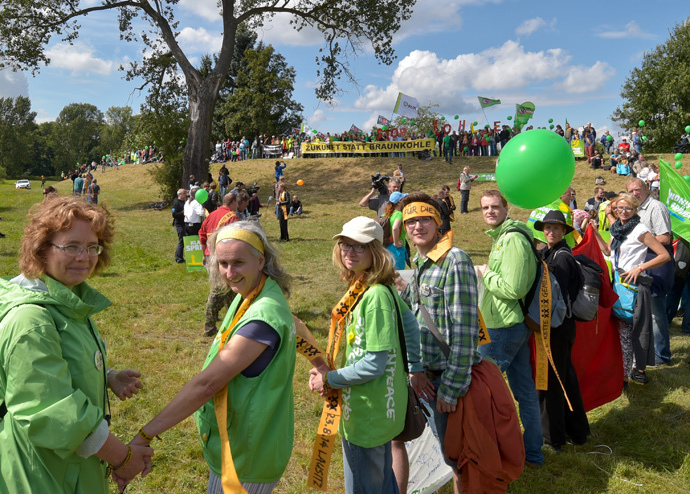 The leaders of Germany's opposition Green party, as well as Greenpeace, were attending the event. “The age of coal is over and the era of renewables is here,” claimed Meri Pukarinen, climate and energy unit head at Greenpeace Poland, as quoted by PAP (Poland’s Information Agency). “This human chain clearly shows the growing anti-coal movement, not only in Germany and Poland, but in the whole of Europe,” she added. However, Ryszard Kosciesza, vice chairman of an association promoting development in the Polish region, dismissed the action as counter-productive. “Such actions only serve to spur on the economic stagnation of our country,” he told the Gazeta Wyborcza daily. Both coal and lignite - decried as dirty fuels by activists and scientists - play a big part in the energy mix in Germany and Poland. The latter produces about 90 percent of its electricity at coal-fired plants, while Germany’s coal production currently stands at around 45 percent.